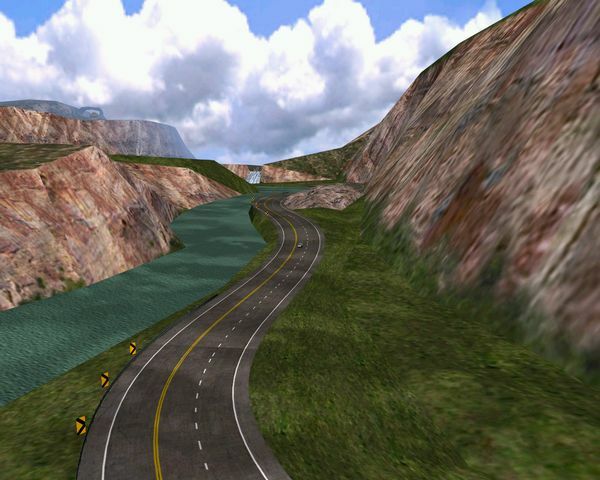 This track by Sajmon14 features a nice landscape with a circuit road, a river with a boat sailing it, an house and some more. Good 3D model and textures. It has also hudmap and 2 circuit type races, one of them in a different oval circuit. Converted from the game Viper Racing and edited.